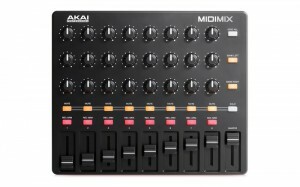 Cheap, cheerful and potentially very handy, its a combination we all love and the Akai MIDImix controller threatens to do all that when it ships in a few months and could find itself appearing in a lot of setups. Its an 8 channel mixer, 3 mapable knobs per channel and 2 buttons per channel with default 1 – 1 mapping to Ableton live out of the box. That’s pretty much it. Simple, portable and a problem solver, all for around £60 when it launches, which is a price point we’re sure will help it find a home in many a studio and artists kit bags on the road. The Native Instruments Traktor Z1 is the ultimate, stick-it-in-yer-bag portable addon for Traktor users, both on PC and Mac, but also for Traktor DJ on iOS. 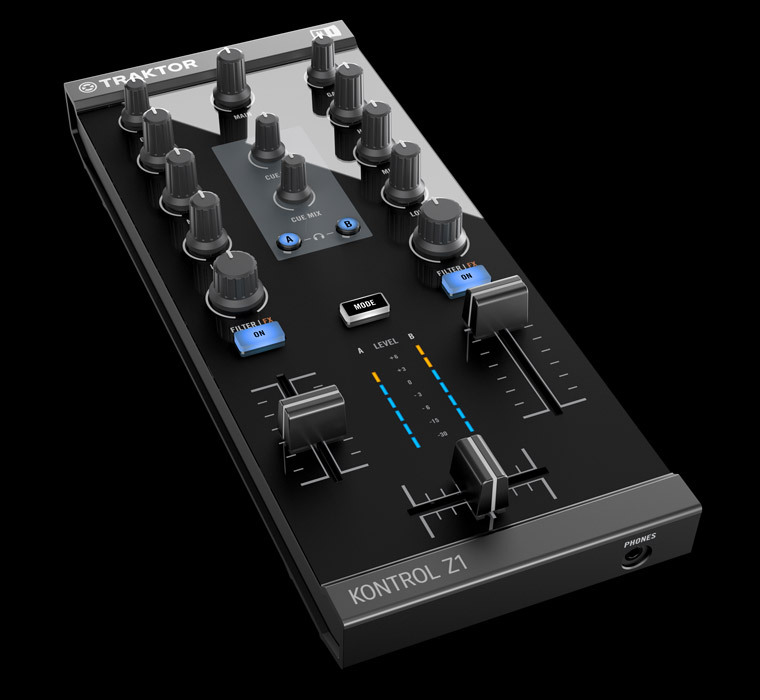 Fully compatible with all of the versions of Traktor, this unit is very similar to the Traktor S2 mixer section. Featuring the same faders and knobs as the S2 and S4, this really opens up the use of iOS Traktor App for iMac and iPhone (yes, it is even reported to work with iPhone too!) “more than a bit of fun messing about” usage. Not only does it give you a true stereo output and stereo headphone cue for iOS, it’s also an ultra-portable solution to anyone with its partner X1 or F1 controller for PC and Mac. 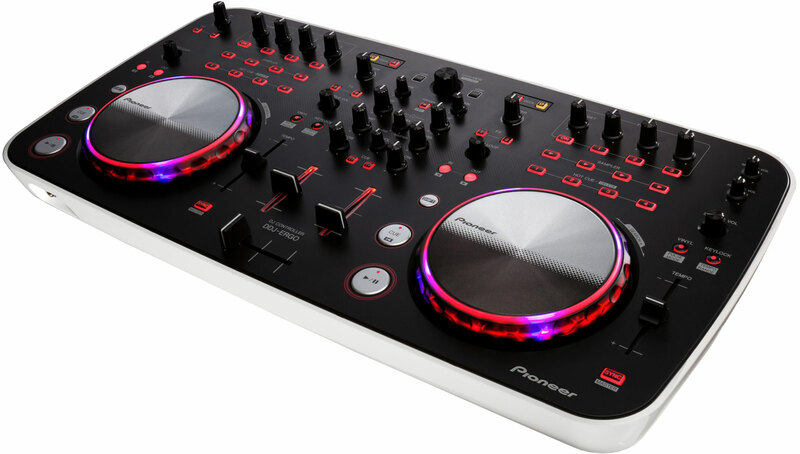 On the horizon is a new Dj mixer / controller hybrid from Native Instruments under the Kontrol banner. Details at this moment are extremely limited with a only a small teaser video to go off at this time. Rather than try and break it down and second guess what those guys have up their sleeves are up to we’ll leave you with the video link itself below to decide for yourself. More summer offers as Pioneer extend their £80 cashback offer to cover the Ergo digital Dj controller and their S-DJ05 speaker range. 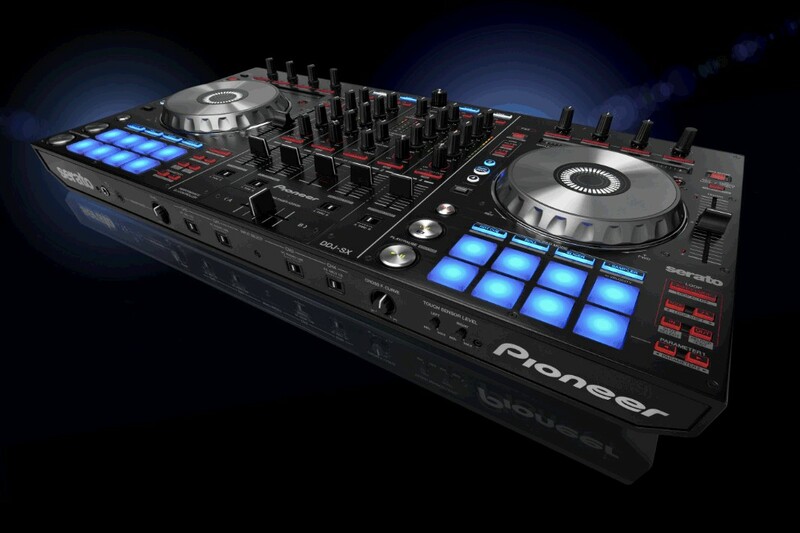 Pioneers Ergo Dj controller offers pro level features at prices that will appeal to every pocket. 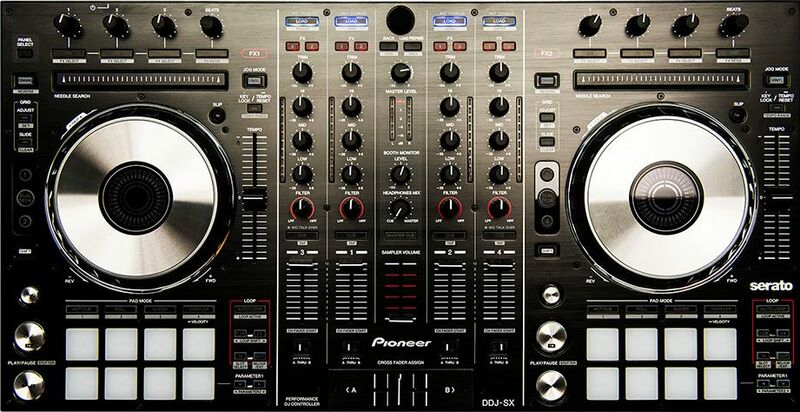 This feature packed two channel Serato controller is now even better value with the £80 cash back offer. 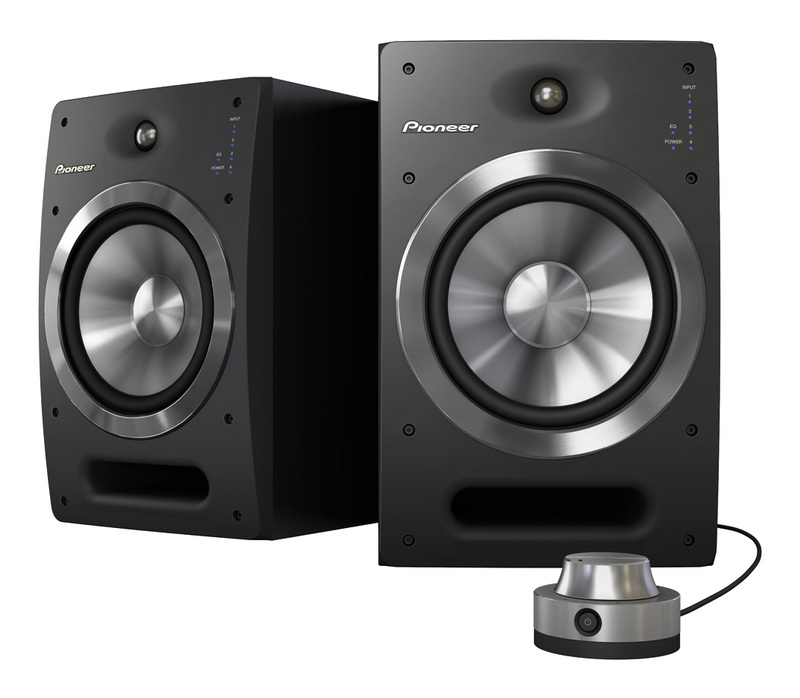 A perfect match for the Ergo these active speakers with 5″ driver, offer 300w a pair of full rich sound. They also have a handy desktop volume control to keep the sound right at your finger tips. Both of these items have the £80 cashback offer running for the month of July only. Please see the special Pioneer offer page for more info on how to claim. The Alesis IO Mix mixer for iPad is one of the first Musikmesse unveilings of 2012. Now, for the first time ever, you can mix and record up to four channels of audio into your iPad. The Alesis iO Mix is the first device that turns your iPad into a powerful portable studio, allowing you to record multiple mics or instruments directly into GarageBand or any other compatible Core Audio app. With the Alesis iO Dock, Alesis was the first to make your iPad studio-compatible. Now with the Alesis iO Mix, your iPad becomes your studio. All the connections you need are onboard, including four combo XLR-1/4″ input channels and balanced, stereo 1/4″ outputs. The Alesis iO Mix also has a video output, making it perfect for everything from presentations and corporate meetings to home entertainment and live performance visuals. With the Alesis iO Mix’s four-channel capability you finally have everything you need for mixing and recording on your iPad, all in one device. There’s no more clunky dongle connections or USB cables needed. 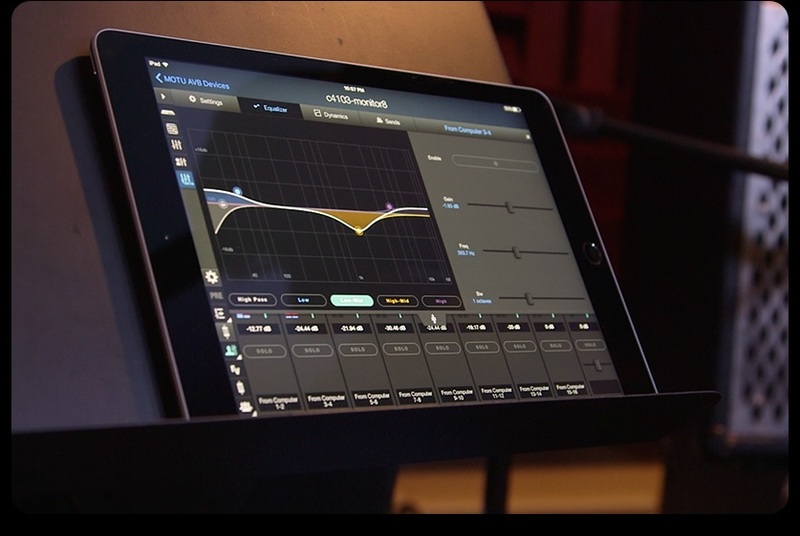 Your iPad is seamlessly integrated into a compact mixing console that will be immediately familiar and easy to use. When you close Alesis iO Mix’s hinged door, your iPad is completely enclosed and secure — you’ll hardly be able to tell that they’re separate devices. The Alesis iO Mix allows you to connect virtually any piece of recording gear to your iPad: microphones, instruments, speakers, headphones and more. Four combo XLR-1/4″ input channels are exactly where you need them on the rear of the unit. Each has trim, channel gain, pan, and low & high EQ controls located right in front of you. Push-button High Pass Filters are also available on each channel to eliminate low-frequency interference in live mixing and recording situations. With its compact design, iO Mix is the perfect portable studio. Bring it to your band’s practice space, coffeehouse gig or weekend recording session. Switchable 48V phantom power allows you to use studio condenser microphones and iO Mix’s guitar-direct switch makes guitar recording easy. You don’t even need an amp! Simply connect your guitar or bass, flip the switch and use your iPad to add effects like reverb and delay. Balanced, stereo 1/4″ outputs and 1/4″ headphone output are also onboard along with a switchable limiter for clip-free recordings. The Alesis iO Mix is Core Audio-compliant, allowing you to use it with virtually any app in the App Store. Plus, your iPad’s WiFi, Bluetooth, AirPlay, and 3G connectivity, allow you to tailor your sound at a moment’s notice or playback audio through compatible wireless speakers. Download new effects or filters to deal with unexpected live sound needs, or download songs, videos or entirely new applications to keep your audience entertained during a gig or the band’s creative energy flowing during a recording session. Along with its four-channel mixing and recording capability, the Alesis iO Mix’ s ability to playback video makes it ideal for applications that were previously impossible. You can use the Alesis iO Mix to not only mix and record, but also playback live performance visuals behind the band. The Alesis iO Mix is also great for corporate presentations and business meetings, allowing up to four speakers to be mic’d and have video playing back simultaneously. With the optional Alesis Module Mount, you can attach the Alesis iO Mix to a nearby mic stand and have easy access to instantly adjust any mixing, recording or video-playback parameter. 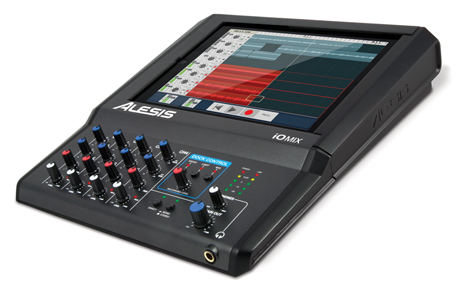 Turn your iPad into a portable mixer and flexible recording studio, with the iO Mix, only from Alesis. Whilst claims like “The Alesis iO Mix is the first device that turns your iPad into a powerful portable studio” are not exactly true (Mackie DL1608 comes to mind), the Alesis offering will almost certainly come in well under the mackie pricepoint and value for money is a phrase always associated with Alesis, although i’m not exactly sure that i would prefer this solution to using a RME UCX and some multichannel audio software if recording. The slight downside is that it lacks the wireless possibility of the mackie, which really was one of the best audio uses for the ipad that i’ve seen. We hope to get our hands on the Alesis io Mix at Musikmesse in Frankfurt this week and report back with some in-depth analysis.